A few weeks ago, I received an email from a young man named Ghedalia Gold-Pastor, who asked me to try his new social-gaming app, Puzzable. Intrigued by his concept, initiative, and ambition, we met in Washington, D.C., so I could meet this enterprising entrepreneur in person. I was immediately captivated by Ghedalia's passion, purpose and enthusiasm for the company that he and his college roommate, Zach, had founded. In a very resourceful way, he leveraged the support of his college, his friends, and his family to launch his dream. His energy was infectious and I hope you will appreciate as much as I do the ingenuity behind his app. Here are some questions he answered for me which I hope will inspire you to launch your own business or reinvent a business or organization that already exists. What is Puzzable and how does it work? 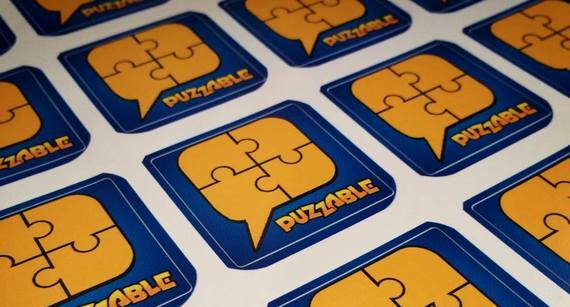 Puzzable is game that allows you to send pictures to your friends as puzzles. The game combines the social nature of Snapchat with interactive gameplay like Words with Friends. Take a picture, add a caption, and send to your Facebook friends as a challenge or message. You can also play in single player mode with over 150 pictures to choose from. I had recently transferred to the University of Maryland and was looking for something to channel my energy into other than playing basketball. My roommate Zach Matz was interested in launching a startup so we did a lot research and brainstorming. We saw tremendous market opportunity in the mobile app and social gaming industries so we designed a new interactive social game, Puzzable. We thought, "if we don't make Puzzable, somebody else will." What resources did the University of Maryland provide you? The University of Maryland has played a tremendous role in helping Zach and me develop as entrepreneurs and getting our company to where it is today. Programs at the Dingman Center for Entrepreneurship have provided us a thorough education on how to build a sustainable and scalable business and have also connected us with a great network of experienced mentors, advisors, and investors. Classes such as The Do Good Challenge inspired us to find innovative ways to create social value with Puzzable. Through university-sponsored business plan and pitch competitions we have developed essential entrepreneurial skills and been able to secure additional funding. Our company will continue to leverage the resources at the University of Maryland as we move forward. How does using the app do social good? One issue that we would like to attack is the struggle of charity organizations in marketing to new supporters. 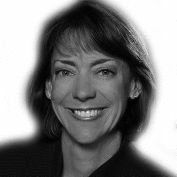 Often times this is due to lack of funds or scrutiny over the expenditures of non-profit organizations. We would like to give charities the opportunity to sponsor puzzle packs. In these packs the charity can provide images that support their cause in our game that users can play with as puzzles. Through these packs, the charity will gain an effective new and free channel to gain exposure and reach potential supporters through the rapidly growing mobile gaming industry. These packs will give users the opportunity to learn about, support, and interact with certain causes just by playing a fun game. Where do you get your entrepreneurial passion? Bubby Mira. My grandmother is a holocaust survivor and she has taught me a lot about willpower. She tells me that the mind can achieve tremendous feats just by believing and maintaining focus. There will be plenty of distractions and disappointments throughout the journey but as long as you maintain focus and continue to push forward you will reach your goals. How did you initially fund your startup? Has it changed? Zach and I both invested $20,000 from of our life savings. In addition to this we secured $2,000 in funding from the University of Maryland through pitch competitions and other programs that support student entrepreneurs. At this point were seeking to raise $250,000 so we can continue to improve Puzzable, grow our company, and make new games. What is your vision for the company in 10 years? In 10 years, 417 App Studios will be the top social gaming company in the world. It took Zynga 4 years to go public. I believe that our company will be on the New York Stock Exchange in 24 months. During the next decade, this company will produce great games that can be enjoyed with friends but also reach beyond the digital gaming industry and have a social impact. Thank you to Ghedalia for sharing his story about his entrepreneurial spirit and the support he receives from the University of Maryland to wholeheartedly chase his dreams. With a name that means "God is good" in Hebrew and the life lessons he's learned from a Holocaust survivor, it is no wonder that Ghedalia has the entrepreneurial determination to galvanize his company and any other initiatives he launches. You can download the Puzzable app on iOS or Android. Are you a young entrepreneur who would like to share your story on the blog? Leave a comment or email me at caroljcarter@lifebound.com.